Home Home + Garden On The Market: Three Crazy-Cool Rooms! On The Market: Three Crazy-Cool Rooms! Sifting through listing photos every week, some spaces start to stand out above others. 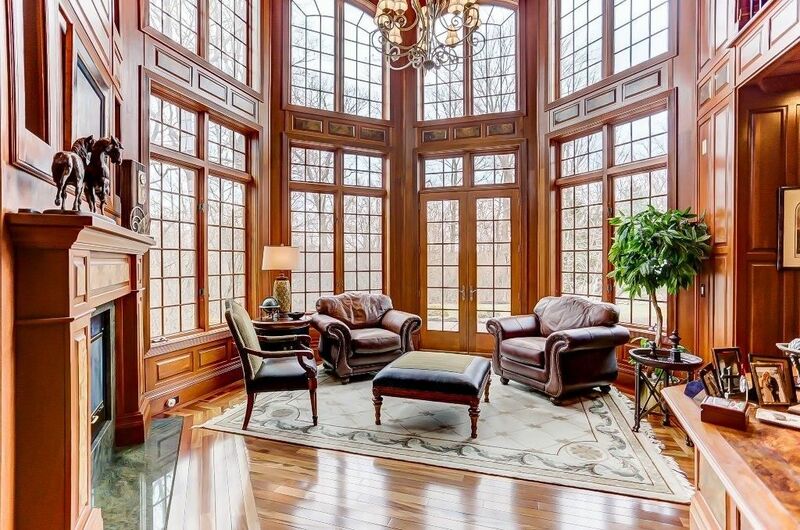 Case in point, the following three rooms, each of which we love for its own opulent style. 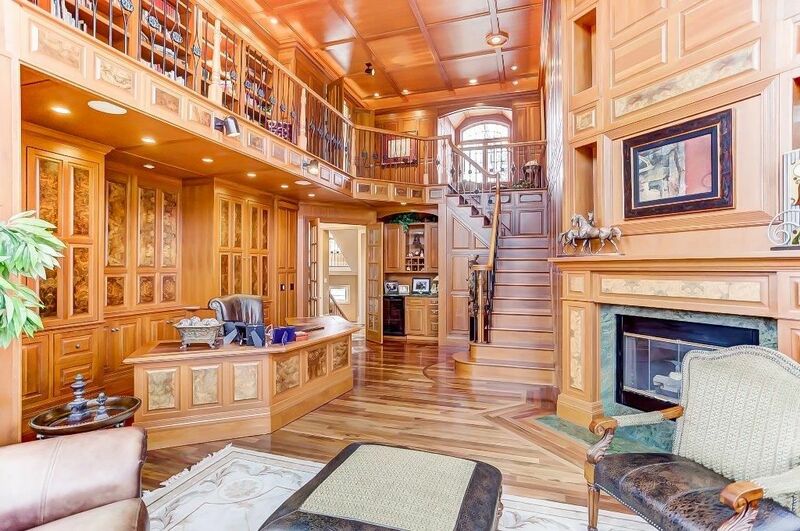 The undisputed jewel in this five bedroom, four bath Mason home is its two-story, wood-paneled library. On one end there’s a cozy reading nook surrounded by floor-to-ceiling windows; on the other end, there’s a wood staircase to a second-floor loft lined with bookshelves. The only thing missing? A librarian at the desk across from the fireplace. And library cards, of course. We’re pretty sure the bathrooms in the Ritz Carlton aren’t even this nice. 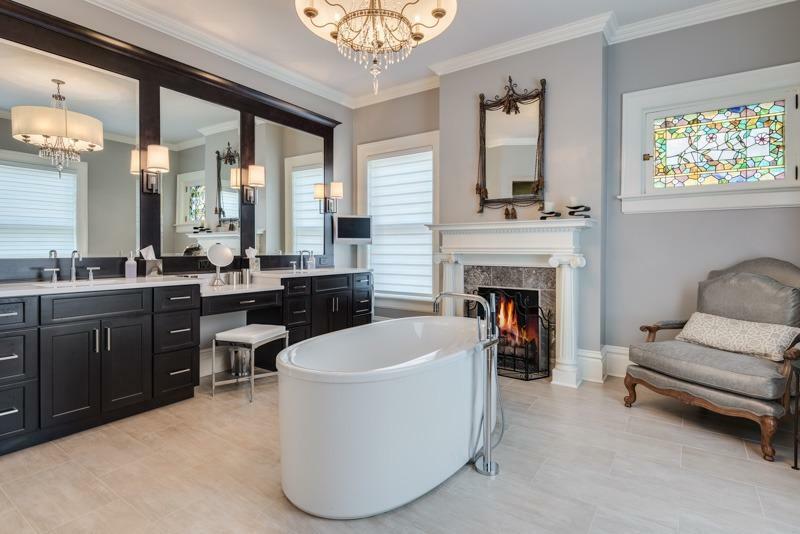 It’s especially cool that the oval-shaped soaking tub is positioned in the middle of the room, beneath the chandelier and with a perfect view of both the gas fireplace and colorful stained-glass window. We’re big fans of the chair in the corner, too – a cozy place to sit while you wait for the tub to fill. 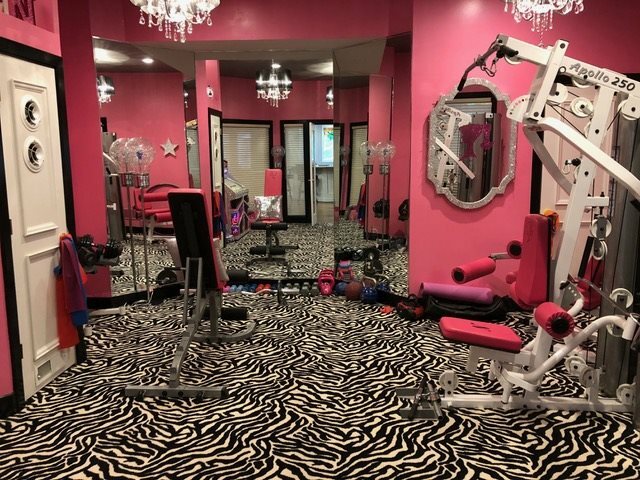 If Elle Woods is your style icon, then this is the home gym for you: Check the zebra-patterned carpet, hot pink walls and exercise equipment, and sparkly jukebox in the corner. This home also has another pink room upstairs, set up like a nail-slash-hair salon and boutique—very “Charming Charlie’s,” says listing agent Mike Helson.